Amazing ranch plan in beautiful community. This Skylar plan includes a spacious 4 car garage, walkout basement, 10' ceilings on all levels, covered deck overlooking the 2.66 acre home site with gorgeous mountain views. Enjoy entertaining family in a large dining room with butler's pantry, prep pantry with sink, and gourmet kitchen with stainless steel appliances. The luxury master bedroom includes an attached 5 piece master bathroom. Great room features fireplace with stone to the ceiling!! Other upgrades included extensive 7 plank hardwood on main living, beautiful ember glaze cabinets in gourmet kitchen, designer island, fully appointed laundry room and more! Photos are of the construction progress and are not the final product. Est. completion: May/June.Parker Rd (Hwy 83) South to Bayou Gulch. 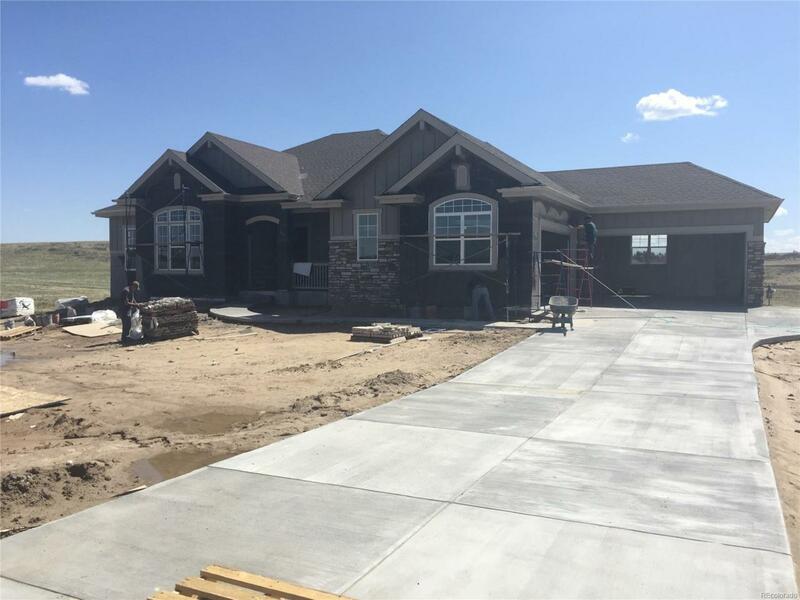 Turn East and follow 3.0 miles to the Two Bridges entrance on right and follow to Model HomesPrice includes builder incentive tied to using our preferred lender, Colten Mortgage!